USANA, word! : Celebrating mums – here, there and everywhere! Celebrating mums – here, there and everywhere! 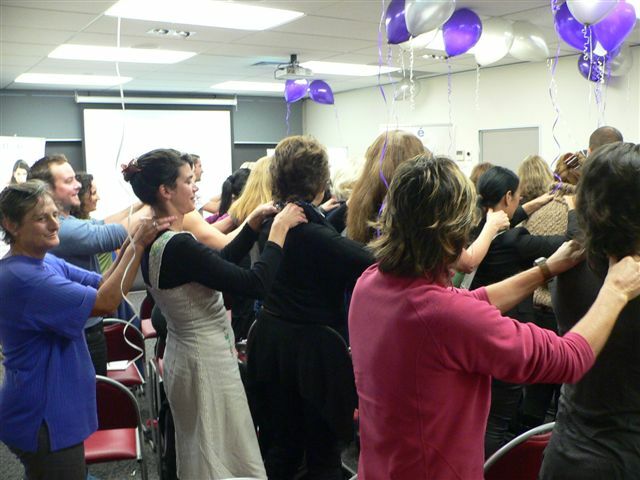 Mothers in both Australia and New Zealand were invited to ‘down tools’ for a short time this week as they joined in our celebrations for Mother’s Day. A great day was had by all as the mums in our lives were treated to expert talks, product demonstrations and special gifts. Some USANA mums enjoying the celebrations in Sydney! New Zealand VIPs enjoyed a presentation by Fiona Jamieson Folland who touched on just some of the ways that USANA products may help to improve immunity and healing. USANA Associate and raw food advocate, Sue Stone, focused on digestive health and the benefits of raw foods. Sue also shared her secrets tips and ideas on encouraging children to embrace fruits and vegetables – that’s one that most mums could do with knowing! 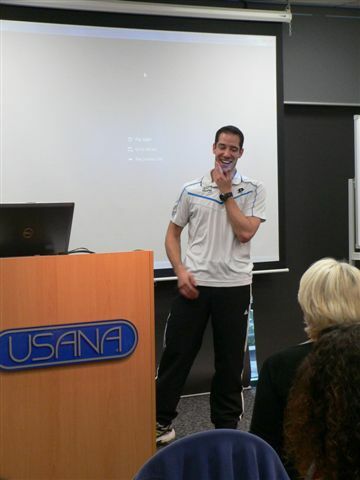 USANA’s very own sponsored athlete Martin Knight also graced the stage at our Albany office, sharing his great supplement story, plus nutrition and the kind of exercise tips that have led to his success as a top ranking squash player and Commonwealth Games medallist. In our Sydney office, proceedings were kicked off by mum-of-three Casey Zhang who shared her secrets to juggling business and babies. She emphasised how starting a USANA business was so wonderful because it allowed to spend more precious time with her growing family. Then, USANA Writer and Dietitan, Ravinder Lilly tackled the wide-ranging topic of women’s health with tips to sensational skin and healthy eating for time-poor mums. Our ladies, left armed with simple ideas to eat smarter and why exercise is so important for mood, fitness and for losing those infuriating last few kilos! Ladies: discover the beauty of Sensé! Skincare and Sensé featured in both Australia and New Zealand venues. Vicky Jamieson from New Zealand and Deepika Sharma from Australia stressed the importance of a good skincare regime and the unique features that make Sensé so special. 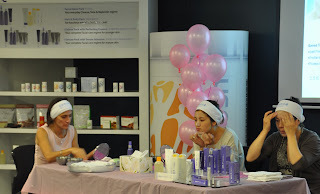 Some of our mums got down to basics and took part in a practical demonstration of each of the products in the super Sensé range. Deepika explained that this particular skincare range incorporates nutritional supplements in the formulation to provide nourish the skin - it's literally food for skin! Being chemical and paraben-free is another big bonus for those of us who want to reduce the amount of chemicals and preservatives our body takes in. A special Mother's Day message for all our mums! Our Australian office had a pretty pink celebration whilst our Albany office showcased a Sensé-inspired silver and purple theme – a nod to our wonderful mums everywhere! All mums deserve a treat and our USANA mums and guests were treated to some special take-homes to indulge with and to thank them for their constant efforts – at home and in business! Here’s wishing all our mums had a special celebration on Sunday with their families. 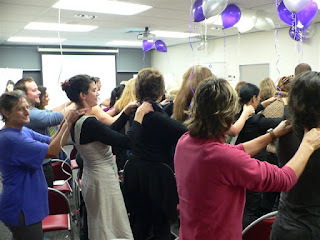 We’re already looking forward to celebrating mums at USANA again next year! Why? Because you're all worth it!